The comic book with a story, My Batman Adventures went on a yearlong adventure of its own. I sold this comic in June of 2017. The comic never arrived and was presumed lost. The customer was refunded his money. Jump to this year and I get a call from CBCS. They say they want to put me in touch with a lady who may have my missing comic. What?! It turns out her daughter had some missing books and had opened a case with the police department. She had been watching eBay to see if she could find a replacement. She found one, her own book! In the same lot on eBay was my Batman Adventures! They contacted the police and BA #12 was put in evidence with the Opelika Alabama Police Department. The Book could be mine again, all I had to do was come down and claim it. As much as a many hour trip to Alabama sounds like fun, I figured there has to be another way. After contacting a courier service, they picked up the comic and dropped it at the local UPS store who was waiting for it. The next thing you know the comic was back in my hands in June of this year. One year after I originally sold it! 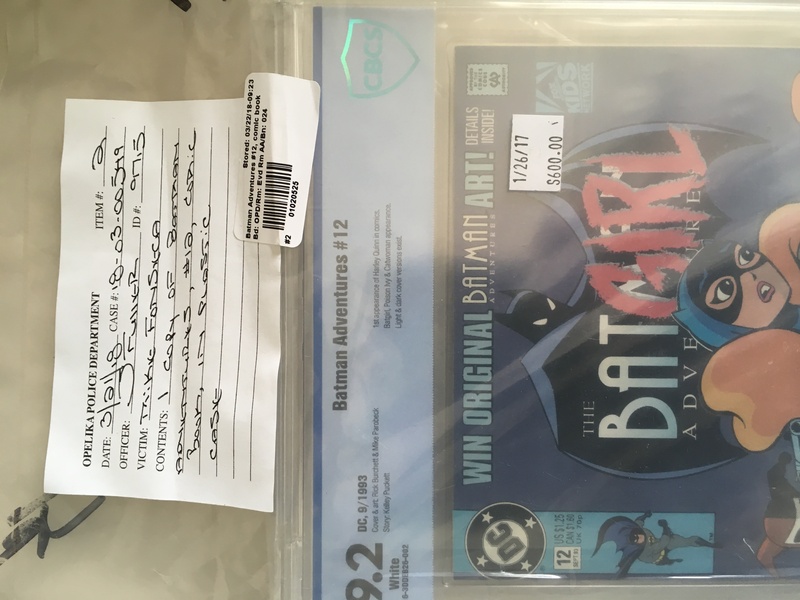 This explains why the graded comic is sealed in a police evidence bag. 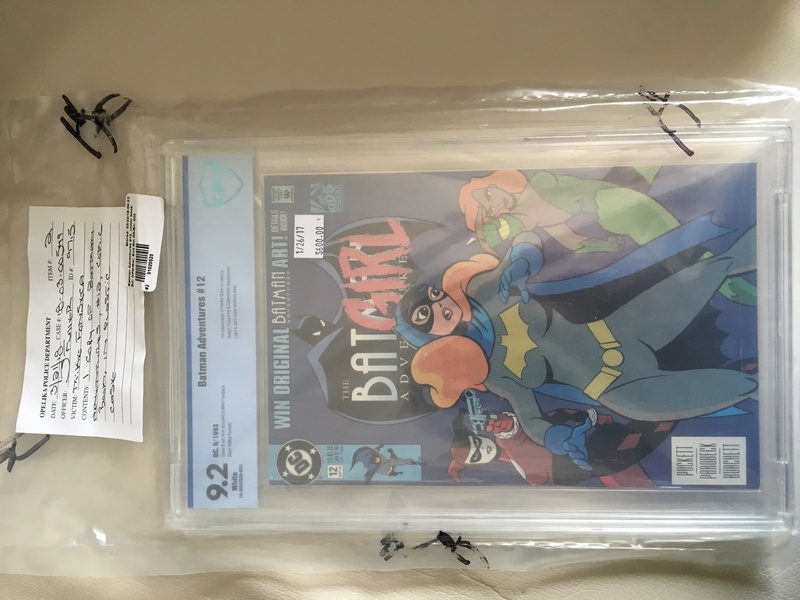 My first inclination was to pull the graded comic book out, but friends suggested I keep it sealed. After all how often do you sell a comic that has a crazy story behind it? Previous Previous post: Please Join Us at FAIRFAX! VA COMICON at GMU June 9-10, 2018! Next Next post: I am a GoDaddy Pro WordPress designer.